Dissolve the teaspoon of sugar in the warm milk and add the yeast, stir and allow to sit until it is bubbly looking then stir in 2 tablespoons olive oil. Blend the flour on slow speed (use dough hook) and add the yeast mixture, Process to a smooth dough and knead for 2 minutes. 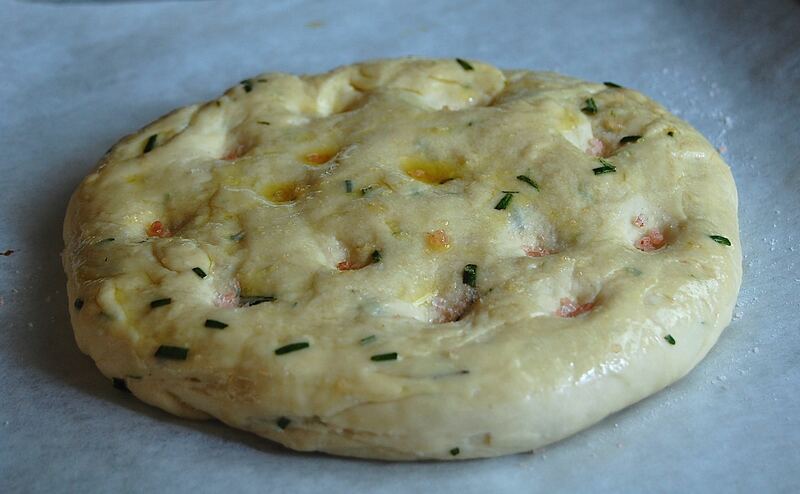 At this point you can knead the dough by hand for 5-7 minutes or until the dough is smooth and elastic. 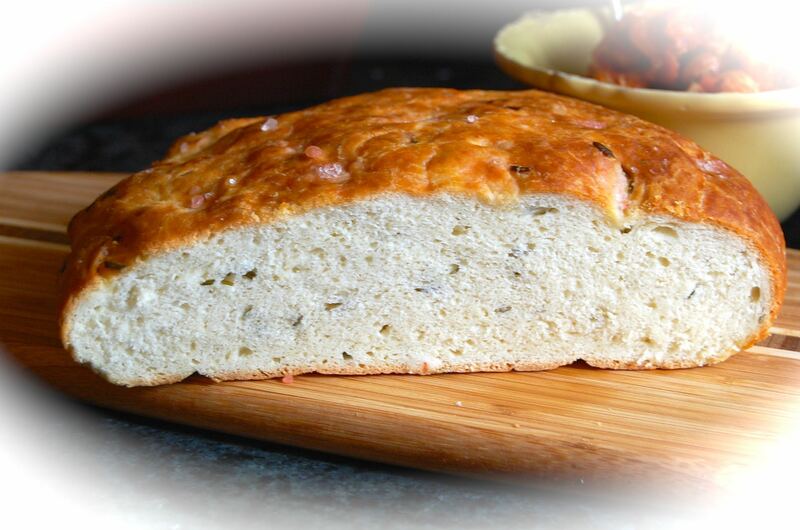 Oil a sheet pan or cover the pan with parchment paper to bake the bread on, after kneading the dough shape into a nice round cake pan size loaf and place on the pan or parchment paper. Use your fingers to dimple the dough and add a few grains of the salt to each indentation, brush with olive oil and allow to rise for 1-1+1/2 hours.